Welcome to Villa-Cho-Co-Latt, a welcoming 4-star Guest House in Porterville. We offer accommodation in Porterville for the weary traveller, tourists and those just married couples looking for a special honeymoon suite on their way to their destination. We have 8 double rooms available. Our Porterville Guesthouse also feautures a fine Restaurant. Porterville is the gateway to some of South Africa's finest tourist destinations including the West Coast and the flower paradise of South Africa. The town offers great activities ranging from being the second best Paragliding venue World Wide, fantastic wedding venues with 22 stunning waterfalls, Protea Farms, Wine Farms and many more. 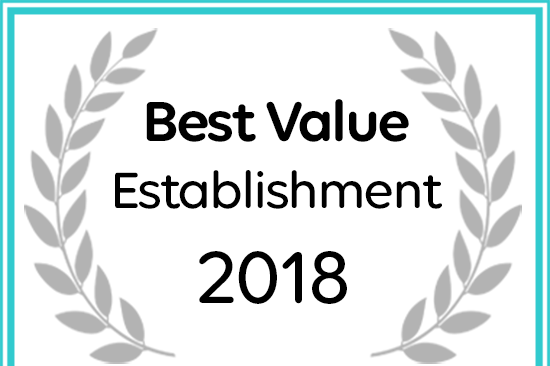 Villa-Cho-Co-Latt has received a Best Value Establishment award.